It's not that great a surprise to learn that Rayo Vallecano's current reserve outfit did not see the light of day until a comparatively recent 1973. Always in the shadow of Madrid's larger clubs, Rayo was an affiliated club of Atlético Madrid as recently as 1951. Up until the early 1970's, Rayo had run youth teams in the Madrid regional leagues, which have been incorrectly labelled as the B Team. In the summer of 1973, the Castellana Federation created the Primera Categoría Preferente Especial which allowed amateur players to become officially linked to professional clubs. 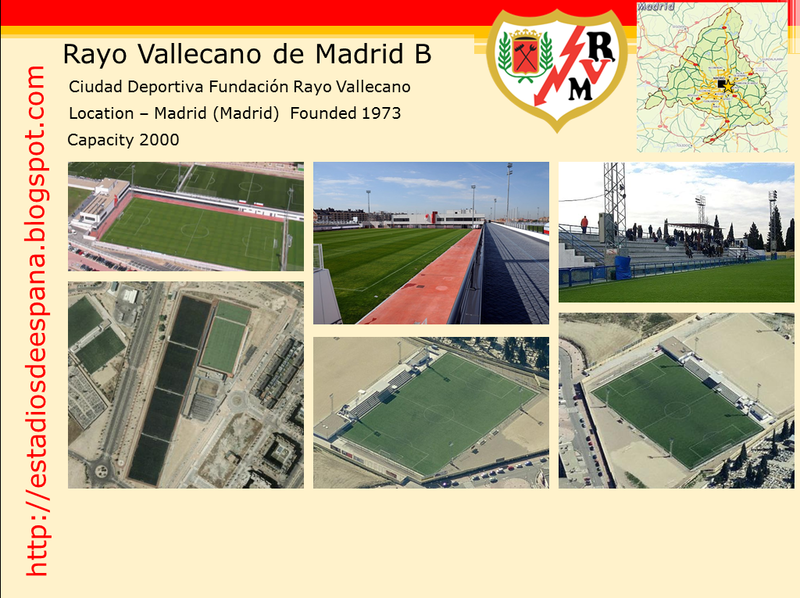 Rayo formed Agrupación Deportiva Rayo Vallecano Aficionados that summer, and the club remained in the regional leagues until 1988. Those early matches were played at the home of the first team, first the Campo Vallehermoso until 1976, and then the Estadio de Vallecas until 2003. The club earned promotion to the Tercera in 1988, changing its name to AD Rayo Vallecano B at the start of that debut season. Here they remained the model of consistency, never troubling either end of the table for over 20 years. The RFEF sports act of 1990, saw the original team disbanded in 1992 and become an integrated professional unit of the the main club. 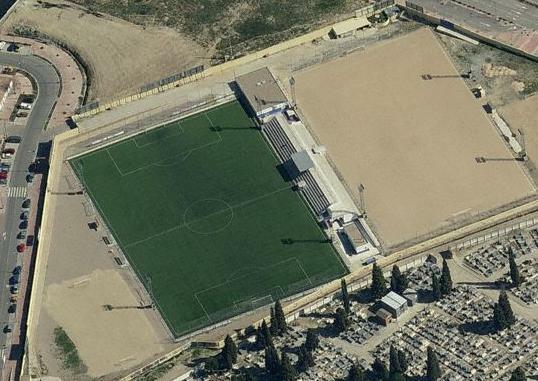 Rayo B moved out of the club's main stadium in 2003 and decamped 3 miles to the east and the Campo de Fútbol Municipal Nuestra Señora de la Torre. Eventually, in 2009-10, Rayo B won promotion to Segunda B after securing their first Tercera title and overcoming CE L'Hospitalet in controversial circumstances. After a 0-0 draw in Madrid, Rayo B trailed by a single goal, before equalising in the 97th minute. You can watch it unfold here. 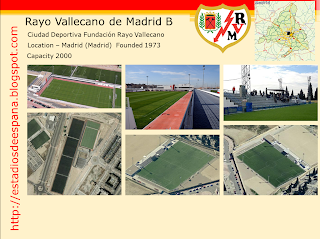 The promotion season of 09-10 was the last at Nuestra Señora de la Torre, as on 28 June 2010, Rayo Vallecano opened a new academy, the Ciudad Deportiva Fundación Rayo Vallecano, which was literally across the road from the old ground. Here the first team train and the youth and women's teams play on the 4 artificial turf arenas that line the Avineda Ensanche de Vallecas. 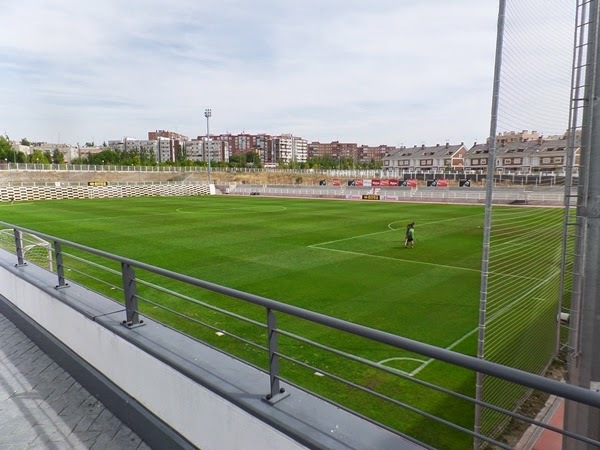 Rayo B play their matches of the imaginatively named Pitch 5, the only natural turf arena at the complex, which has limited pitch side seating. Instead, spectators watch the matches from a raised walkway that runs the length of the western side. Unusual, but Rayo and their supporters are not known to conform.